The story chronicled in Hawaiian Pineapple Entrepreneurs is a microcosm of the growth and decline of an agricultural industry and the end of a way of life in the Hawaiian Islands. 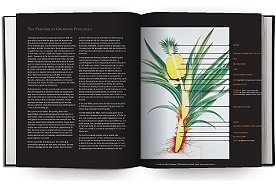 This remarkable book, developed from detailed research and more than a hundred personal interviews, weaves together corporate documents, personal memories, archived articles, blueprints, hundreds of historic photos and individual perspectives of both laborers and managers who lived the life required to grow, manage, process and promote Hawaiian pineapple. Did you know Jim Dole initiated the first national advertising campaign to cooperatively promote a food product category--Hawaiian pineapple--instead of his own brand? Did you know canning pineapple began in the Bahamas? And it was primarily done by hand? Did you know famous artists such as Georgia O'Keefe were hired to illustrate pineapple ads in the '30s and '40s? What was it like to live and work on a pineapple plantation? What happened to the pineapple industry in Hawaii? Why are the islands no longer blanketed with pineapple fields? Why did the canneries close down? A limited number of books were published by the author, Jack L. Larsen, who spent eighteen years working for Dole Corporation, where he gained an insiders understanding of the Hawaiian pineapple business. This 696-page book represents fifteen years of dedication, research, writing and production to deliver a fascinating look into the entrepreneurial spirit; life on a plantation; the continuing challenges of an agricultural business; and the growth, evolution and decline of the Hawaiian pineapple industry. 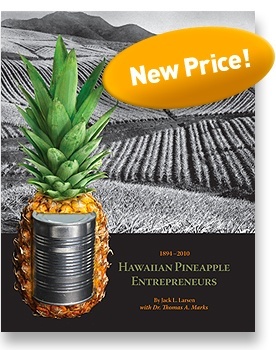 If you’re interested in the growth and decline of any agricultural industry or in the history of Hawai‘i in the twentieth century, you should add Hawaiian Pineapple Entrepreneurs to your library. Order your copy today, $75. The story of pineapple in Hawai‘i is of people, places and companies fitted together during its rise, peak and decline spanning the twentieth century. By the late 1920s at least sixteen pineapple growing or processing firms were located on six of the eight major islands. At its peak in the 1940s, canned pineapple equaled more than two-thirds the dollar value of Hawai‘i’s raw sugar sales. Facing worldwide competition, increasing land prices and labor costs, the pineapple industry began its decline in the 1970s, to the final closure of the last canning facility at Maui Pineapple in June of 2007. Every chapter tells a piece of the Hawaiian pineapple story. 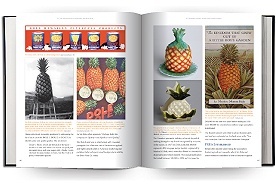 Each is filled with historic photos, ads, article excerpts, corporate documents, portraits, personal memories and stories of the people, places, processes and innovations that drove the Hawaiian pineapple industry. The pineapple plant appears to have been well established in “the Sandwich Islands” by the early 1800s, before the arrival of the missionaries. In this chapter the possible trade routes across the Pacific are traced, old photos and etchings chronicle Captain Cooke’s and Captain George Vancouver’s visits and show early images of Hawaiians living in grass shacks and cultivating pineapple, papaya and bananas. Early efforts to preserve fruits and vegetables, beginning in 1810, founded the fruit processing industry. Baltimore, Maryland became America’s first food processing center in the 1850s and the primary source of canned pineapple sold in the U.S., importing most of the pineapples from the Bahamas. Early etchings show the laborious process and hand labor required to pick, cook, process and can pineapple into handmade cans in the late 1800s. From the first canning in Hawai‘i in 1882 to the rise and fall of many small canneries, testing of different growing techniques and areas, and plantations established on different islands, the groundwork was laid for the successful establishment and growth of Hawaiian Pineapple Co., founded by Jim Dole; Libby McNeill Libby; and California Packing Corp, packing under the Del Monte name. This chapter outlines the dramatic growth of the industry from 1882 to the 1920s, the addition of Ginaca machines to automate work, and expansion of planted acreage to fulfill on the demands for canned pineapple. The evolution of pineapple juice followed the development of the Hawaiian pineapple industry. Dole’s clear pineapple juice, packed in glass, was promoted in advertising in 1911, but failed due to discoloration that occurred over time. By the 1930s canned juice sales exploded. Dole, Libby’s and Calpac (Del Monte) continued to develop juice products, single strength, concentrates and frozen concentrates. Pineapple juice and juice blends continue to be popular worldwide. 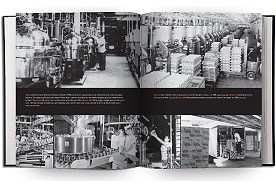 This chapter includes examples of early and later advertising, as well as historic photos of the canneries as juice packing evolved. From the early 1900s the Hawaiian pineapple industry worked together to build the market for Hawaiian pineapple. In 1908, the first cooperative ad campaign in the U.S. food processing industry was launched. Innovative advertising campaigns continued that quickly built consumer demand for Hawaiian pineapple. In 1944 the Pineapple Grower’s Association created the Pineapple Research Institute to conduct agricultural research to improve crop production and address common problems. This chapter includes many examples of the historic ads placed by the associations and honors the researchers who worked tirelessly to improve pineapple quality and production. Jim Dole, a true entrepreneurial visionary, established the Hawaiian Pineapple Company, Ltd. and produced his first pack in 1903. Within twenty-five years he had grown Hapco to be the major pineapple producer and packer in the Islands. Jim Dole’s scope of understanding of the pineapple business was never matched throughout the dominating fifty-year reign of Hawaiian canned pineapple. Castle & Cooke retained the Dole name as a national brand, a symbol of quality, labeling products from pineapple to fruit cocktail to fresh bananas. This chapter is filled with historic photos of the fields, people and cannery operations and examples of Dole advertising through the years. The early pineapple plantations and cannery operations required an enormous labor force for every stage of work from planting to harvesting to processing. The life of plantation workers meant living at low rent in a company house with basic services provided along with low wages and long hours. Harvesting remained practically unchanged from the beginning of the industry through World War II. After the war, harvesting was mechanized throughout the industry. In this chapter, historic photos show the laborious work required from planting to harvest, and the continuing challenges of developing mechanized solutions to save labor. Disposal of fruit shells, rinds, ends and juice was an ongoing challenge for the pineapple industry. In the 1920s Hawaiian Pineapple Co. began turning these waste pieces into a profitable by-product called pine bran, and others in the industry soon followed. Surplus mill juice and other by-products of the canning process (only 50% of the pineapple was processed) were used as fertilizer, fed to cattle or dumped in the ocean. Plant silage and green chop from the fields was also developed for animal feed. Bromelain, an enzyme extracted from pineapple stumps, was marketed worldwide. From the early years many growers experienced yield decline on replanted land that had initially produced excellent crops. Wilt was the cause, and in the 1920s ants and mealy bugs were identified as the culprits spreading the disease. Many remedies were tested and implemented. Various chemicals were developed, tested and retired. In the 1980s an uproar over the use of Heptachlor, which remained on green feed chop that was fed to cows, then was found in their milk, initiated a court battle and press. Contaminants found in water wells also generated press and government attention and numerous political cartoons. Between 1916 and 1970, Lana‘i and Moloka‘i were important sources of pineapple production. Jim Dole purchased Lana‘i for $1.1 million in 1922. Subsequent work cleared cactus and established fields, built a harbor and tackled the challenge of sufficient water. The major pineapple companies in Hawai‘i –Hapco/Dole, Calpac/Del Monte and Libby’s—all established plantations and the towns to support them, creating a unique way of life on these outer islands. Stories of plantation life from both the manager’s and laborer’s perspective and historic photos of plantation work and transporting pineapple to canneries on O‘ahu fill this chapter. Pineapple plantations were first established on Kaua‘i in 1906. Kaua‘i continued to contribute a small volume of the pineapple packed in the Hawaiian Islands until the early 1960s and final closure of the last Kaua‘i operation in 1974. Despite its smaller volume, Kaua‘i companies were also the seat of innovation in the industry, from Albert Horner Jr.’s recognition as the best pineapple agronomist in Hawai‘i, to Butaro Matayoshi’s use of mules to plow steep hillsides for plantings, to Randolph Crossley’s expansion at Hawaiian Fruit Packers and position as chairman of the pineapple industry labor negotiations. From the two original missionary families on Maui, who formed Alexander & Baldwin, one of the “Big Five” Hawaiian companies, to the Maui Land and Pineapple Company, agriculture and pineapple have long been a part of the Maui landscape and lifestyle. Maui Pine continued to innovate in mechanizing the harvesting and processing of pineapple, registering numerous patents for equipment that was often adopted by the rest of the industry. Maui Pine also pursued the sale of fresh pineapple and fresh chilled pineapple juice for local and mainland sales of pineapple and mixed juices. The pineapple industry began with exporting fresh fruit to the West Coast in 1849, but when canning provided a higher volume of sales, the focus shifted. Fresh pineapples continued to be popular locally and were a high volume business for tourists beginning in the 1960s. Exports of fresh pineapple by Dole began in 1963 which grew into the “Jet Fresh” service in 1973. Del Monte also moved into fresh fruit including expanding plantations into Costa Rica. Fresh pineapple continues to be a popular grocery item, with fruit coming from plantations around the world, including specific branded varieties. Agricultural plantations in Hawai‘i required many workers, whether sugar, canned pineapple or fresh pineapple. Chinese labor was imported beginning in 1852, followed by Japanese workers in 1886. Portugese, Pacific Islanders and German workers were followed by Filipinos. As the agricultural industries grew, so did the influence of unions, leading to a barrage of union and industry confrontations and a series of strikes. Even as union demands for higher wages and benefits escalated, companies were establishing locations outside of the U.S. that provided lower-cost labor, ending with the close of large pineapple plantations in the Hawaiian Islands. From the early years of pineapple in Hawai‘i, expansion was always a goal. In the 1920s, Hawaiian Pineapple Co. tested locations around the Pacific and Far East. After World War II, Hapco built a plantation and cannery in Mexico. Calpac/Del Monte built an operation in the Philippines. The Dole Philippines operation, Dolefil, continued to expand as labor costs soared in Hawai‘i. Both Del Monte and Dole tested various locations in Africa in the ‘60s and Dole expanded into Thailand in the ‘70s where it continues to maintain significant plantations and cannery operations as Dolethai. A limited number were printed. Creative Company, who designed and produced the book, is handling sales. Please order by calling toll-free 1.866.363.4433 or email Creative Company at jlmorrow@creativeco.com. Shipping and Handling within the United States is $18.00. Payment can be made by check, we no longer handle PayPal. Payment must be received/verified before the book is shipped. ABOUT JACK L. LARSEN The author, Jack Lucas Larsen, traces his roots in the Hawaiian Islands back to his great-grandfather, George Lucas, who arrived in Hawaii around 1852 and went on to establish the Honolulu Steam Planing Mill, which contributed furniture and detailing to the ‘Iolani Palace in Honolulu, completed in 1885 by King Kalãkaua. Jack’s eighteen-year career in the pineapple industry in Hawaii inspired the research and writing of this book. Beginning in 1952, he worked on the Dole Lana‘i plantation for three years and was then moved to Dole’s Wahiawa plantation before going to the cannery in Honolulu. After two years on the mainland at Castle & Cooke canneries in California and Oregon, he returned to Hawai‘i as Director of Pineapple Planning in a worldwide search for low cost pineapple production areas. 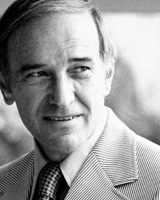 He then left Dole to establish his own firm, Agroland Inc., to consult on growing and processing tropical crops around the world. Before writing Hawaiian Pineapple Entrepreneurs, Jack personally conducted more than 170 interviews with those directly involved in the industry, many of whom have since passed away, and pursued detailed research in various corporate archives and at the University of Hawai‘i to establish the foundation for this thorough compilation of the pineapple industry in Hawai‘i. 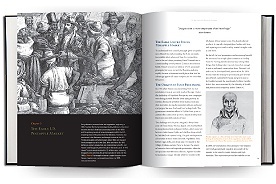 Working with Dr. Tom Marks on the original manuscript, and then with his daughter to finalize the layout and design of the book, Jack’s inside knowledge and understanding, as well as his connection to Hawaiian history, has produced a remarkable story unlike any other book written on the history of pineapple industry. Jack Lucas Larsen passed away in 2015. ABOUT CREATIVE COMPANY Creative Company, a strategic branding and communications firm, is owned by Jennifer Larsen Morrow, daughter of the author. Jennifer worked with her father to design, edit and produce the final book. For more information on Creative Company click here.